With rare exceptions, those are the rules across Canada and the United States. But here on the West Coast, there’s talk of a brand new (and, let’s face it, totally granola) alternative. Katrina Spade is founder of a Seattle non-profit that wants to add human composting to the list of possibilities. Apparently the right combination of carbon, nitrogen, oxygen, and microbes can break down a dead person in about six weeks. Is composting as gross as embalming, though? In traditional burial, bodies are drained of blood, injected with preservatives, encased in massive wood and metal coffins, then lowered six feet into concrete-lined graves where they ever-so-slowly putrefy. Spade’s research shows 90,000 tonnes of steel, nine million metres of hardwood and 1.6 million tonnes of concrete get buried every year in the US alone. Cremation is better for the environment, she says, but it still puts a whole bunch of carbon into the atmosphere. “To many people, conventional burial makes less and less sense,” she tells me. In addition to generating “nutrient-rich” gardening soil, Spade’s Urban Death Project also addresses an awkward space issue. Big cities aren’t making new cemeteries, which drives up the cost of plots. Composting is as affordable as it gets. Spade says she decided to confront what she sees as a societal fear of decay, researching ways to turn people into soil faster, not slower. At first she looked into natural burial—a method that skips the formaldehyde, trades a coffin for a light biodegradable fabric, and places bodies at shallower depths to allow faster decomposition. This form of burial is allowed in a few states. “It’s a beautiful idea, but more appropriate for a rural setting,” Spade says. Spade is fine-tuning a three-storey compost design that puts six- to 12-foot layers of compost material between the dead. 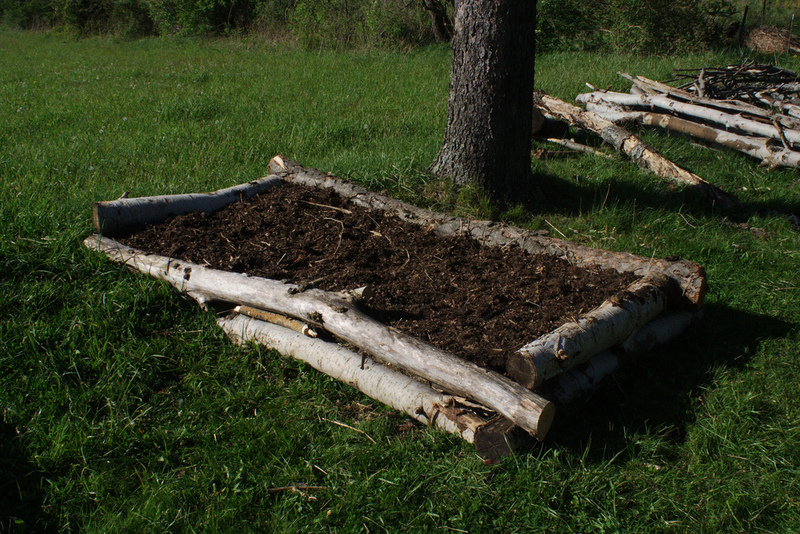 Ceremonies would allow families to “lay in” their loved ones and cover them with woodchips. The soil they get back weeks later could technically contain other people.